There are rhythms and cycles of change in our own lives and we experience others which affect the whole world. We live by the regular sequences of the day and seasons of the year. Such cyclic patterns of activity, rest, change and growth, can also be observed throughout the universe. 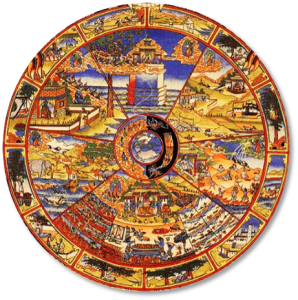 For example the movements of the sun and moon, the birth and death of planets and stars, and through the evolution of life. Science closely observes many of these patterns and cycles, be those here on earth, in our solar system or in outer space. The cycles of our births and deaths are also part of this process. 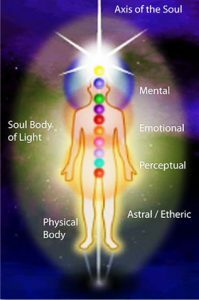 We are a spiritual being born into a physical body (a period of activity), and when we no longer have our physical body there is a period of rest. It is the Immortal Self which experiences these cycles of life and death and this process enables our spiritual evolution. It is part of the in-breathing and out-breathing of the pulse of Life. Being reborn into a new physical body and a different personality, provides an opportunity to progress and to understand what we are, why we are here and where we are going. In short to understand the purpose of life. It takes a long series of lives to start to question and then to begin to comprehend what this means. The Soul, our Immortal Self, exists before birth and continues after the death of our physical vehicle. A conscious entity which develops and grows in experience over many thousands of years. Life is a pilgrimage to perfection, to Self-knowledge and Wisdom. The Soul does not enter each life with no understanding. Each Soul brings forward the qualities and tendencies it has developed in previous lives, a gradually evolving process. Past experiences and opportunities shape where we are now and what we need to learn. Reincarnation should not be confused with ‘transmigration’ (return in animal form), for once the Soul has evolved to human level, it cannot return to forms of life below the human kingdom. Through the process of reincarnation and the different circumstances of our birth, our thoughts and desires and the life we lead, we face many lessons. Eventually we learn how to embrace enduring human values. Those spiritual qualities which are exhibited when we truly become the best we can possibly be. 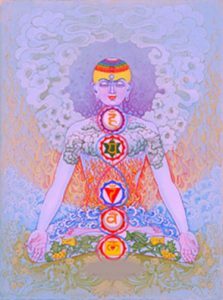 Reincarnation is the process through which we evolve as human beings and reach our spiritual goal. It is a journey everyone is travelling on and it is through our own efforts that the Immortal Spirit gradually learns, over thousands of lives, to reach its full potential. It is part of the greater cycle of life, the evolution of Life itself. Birth and death are a necessary part of the cycle of life on the cosmic journey of evolution. Below are some theosophical writings and articles which explore these concepts. Karma is an ancient Sanskrit word meaning ‘action’. It is the Great Law of Nature keeping the universe in equilibrium. Scientific research shows that the world could not have existed on earth were conditions not exactly and precisely right. The Laws of Nature create and maintain this fine balance, allowing life as we know it to continue. The whole of the cosmos from black holes to microscopic life, is in a cycle of change and balance, maintained by the Laws of Nature. Karma is the great cycle of cause and effect: “The Ultimate Law of the Universe, the source, origin and fount of all other laws which exist throughout Nature. Karma is the unerring law which adjusts effect to cause, on the physical, mental and spiritual planes of being”. It “adjusts wisely, intelligently and equitably each effect to its cause”. (H. P. Blavatsky, the Secret Doctrine). There are subtle realms in nature, planes of matter which are not ordinarily experienced in the material world – on the physical plane. Every action, thought and desire has, to a greater or lesser extent, a ripple effect on the equilibrium of the world – from the physical to the subtle realms of life. The conditions of the whole world are the collective result of our past and current actions, thoughts and feelings. In each lifetime, in every minute, we create our future destiny through the Karma we create for ourselves and carry from one life to the next. It is this karmic action of cause and effect which life after life gives us the opportunity to learn from our past experiences, until we turn away from selfish actions and place ourselves in spiritual service for the world. What we do not learn in one lifetime will return in a future life, but we will never be faced with more than we can cope with or we would not be able to make progress. The laws of government or of natural justice, all seek to maintain a wise balance of correctness and mercy, in their small turn reflecting the Great Law of Karma. By Karma we do not mean predestination, we choose our future destinies. We will meet old friends, sometimes in our families or the groups we join, and we will also meet those who present us with challenges or with opportunities to serve. Each time we incarnate and take on a new body and a new personality, characteristics from the past experiences of the Soul will influence how we are able to live our lives, dependent on the state of growth and maturity. These become the beads on the thread of life from one incarnation to another. However, the law of Karma is very complex and it is extremely difficult to know why we were born into any particular circumstances and conditions. Only by understanding that reincarnation and karma exist, can we begin to know something of the soul’s journey and through spiritual self-development start to direct our future lives. Below are some theosophical writings and articles which explore this further.